2 days Left!!! Transcripts and Ranking Forms deadline approaching. UCHU-AA is well underway with calculating transcripts. How many is that……well that would be just a little over 100 transcripts, plus report cards AND plus a host of ranking forms. Where am I majority of my days this week? Though I did take a moment for my weekly datenite with my husband tonight. (sweetness) And before I left the restaurant many of you were contacting me with questions. Guess what? I love it!! Well….the deadline is just TWO DAYS AWAY. Midnight, May 31, 2018 is the cut off to turn in your high school students transcript forms and ranking forms for completion. If you DON’T make it by deadline….. no worries. You may still submit your transcript request/report cards after May 31, 2018. They will be minus ranking but will be calculated with your student’s gpa. The next few days I’ll be having my rondevous with UCHU-AA members transcripts, report cards and ranking forms. I may not be easily accessible. I simply adore what I do. My purpose driven life is to make a positive impact on 1000s of homeschoolers worldwide. I do that in part by serving YOU MY HOMESCHOOLING UCHU-AA COMMUNITY!! 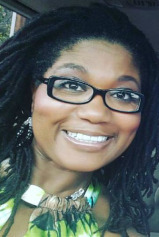 Angela Jordan Perry, is a wife of 25 years, homeschooling Mom of eight children, mentor, entrepreneur, host of Girlfriends’ Guide to Homeschooling, podcast host of Girlfriends Chat, direct marketer, mad’am farmer, homeschool co-op director, Toastmasters Competent Communicator recipient, racial injustice activist. Angela and her family makes their homestead in Campobello, SC. UCHU here are new state legislation affecting homeschool and public school. A CONCURRENT RESOLUTION TO DECLARE APRIL 2017 AS “HOMESCHOOL RECOGNITION MONTH” IN SOUTH CAROLINA, TO RECOGNIZE THE DILIGENT EFFORTS OF HOMESCHOOLING PARENTS AND THE ACADEMIC SUCCESS OF THEIR STUDENTS, AND TO EXPRESS SINCERE APPRECIATION FOR THEIR FOCUS ON THE WELL-BEING AND OVERALL ACHIEVEMENTS OF THEIR CHILDREN. Adopted April 25th. Requires a on-half credit course of study in personal finance with an end-of-year test as a requirement for high school graduation beginning with the 2018-2019 school year. The state can award a special ed diploma instead of the certificate of attendance to handicap high school students. Provides that each public high school must provide instruction concerning the United States Constitution, the Federalist Papers and the Declaration of Independence to each student for at least one year. Increases from seventeen to eighteen the age of the child at which a parent or guardian no longer has responsibility to cause the child to attend school. Provides that, in addition to other requirements to obtain full licensure, a person at least fifteen years of age and under twenty-one years of age who has never held a form of license evidencing previous driving experience must enroll in and successfully complete a driver training course conducted by a driver training school. Promise Scholarship offers another state run scholarship for students in public, private, or charter school and to home school students who use Option 1 or Option 2, but NOT Option 3. Authorizes a deduction from state of South Carolina taxable Income up to two thousand dollars per child per year to a parent or legal guardian for home school-related expenditures. This deduction is limited to a total of two thousand dollars per child per year regardless of the number of taxpayers incurring home school instruction-related expenses. The deduction allowed by this subsection is fully deductible for the calendar year in which the home school term begins provided the qualifying student completes the school term for that school year. Revises the requirements for diplomas to provide “personalized pathways” to education (something most home schoolers are currently doing anyway). This bill passed and was signed by the Governor on May 19th. Allows the Palmetto Scholarship to be deferred for 2 years after high school graduation. It has passed the House and is now in the Senate, with the change from 2 years to 1 year. Beginning with the 2017-2018 school year, a parent or legal guardian who home schools may claim a credit of up to five thousand dollars for instruction-related expenditures. Beginning with School Year 2018-2019, an entering freshman at a four-year institution to be eligible for a LIFE Scholarship must be in the top thirty percent of his high school graduating class. For home school students and students whose high school graduating class is less than fifty students, the Commission on Higher Education may define alternative criteria for students to meet the requirement of item. This would require ranking in accountability groups by eliminating the other two criteria possibilities. Under Option 3 law there are pertinent records that each parent-teacher must maintain. Today we discuss ONE of the THREE required things that each parent-teacher must maintain. Take 10 minutes of you day and be informed about maintaining records in your Option 3 homeschooling with UCHU-AA. If you haven’t go over to YouTube and subscribe to UCHU’s Channel: Angela Jordan Perry – UCHU. The idea of the website has continually evolved since it’s conception in June 2014. All I can say is that I *believe* that the Lord continues to add new vision and purpose to the website and how it can/should be used by the homeschooling community. http://www.UCHUpstate.com is to be a RESOURCE. A RESOURCE of homeschool information, helps, education and camaraderie for our community and abroad. Here on the website you will find almost every aspect of homeschooling covered for your use and assistance. As many of you are in remote areas homschooilng or may not be at liberty to leave your home because you are the main care-giver in the home…..now you have a NEW element as a resource for you to connect with the homeschooling community…….Homeschool Moms LIVE! Chat. Now you can log into Homeschool Moms LIVE! Chat and chat with our UCHU community! Go to the menu that says *Homeschool Moms LIVE! Chat*, enter the password that you have been given as a member of UCHU, type in your name when you come into the room and began chatting with whomever is in the room! What in the world are the accountability association membership cards for??? Well, what type of discounts or special offerings can you take advantage of, you ask? Here’s a small list just to name a few. *basically anywhere that states they offer discounts to educators.